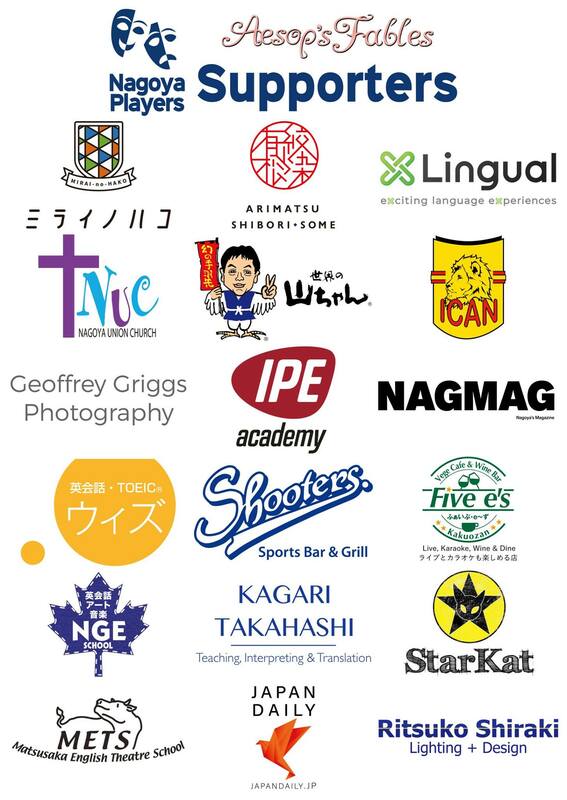 There are many wonderful and talented people, groups, organizations and businesses that have supported Nagoya Players in the production of Aesop’s Fables. As a community theater group we greatly appreciate the volunteer efforts of our cast and crew as well as the financial contributions and services from Aichi’s local business community. It’s amazing to see so many organizations rally behind a show. We’d just like to recognize these different groups and say thank you for all their help in making Aesop’s Fables a reality.